Acronyms are everywhere these days and they can mean different things to different people. In the business lingo, CSF means Critical Success Factor. These factors are what will make or break the organization. The organization should focus on a limited number of CSFs, typically between 3-8, that affect the services efficiency, or product quality. The success in the CSF will differentiate the organization from it’s competitors. For a hairstylist, the the design and beauty of it’s styles would be it’s CSF. For a baker, the freshness and taste of the it’s backed products will be a CSF. Successful surgeries with few (or no) complications is a good CSF for a medical surgeon. 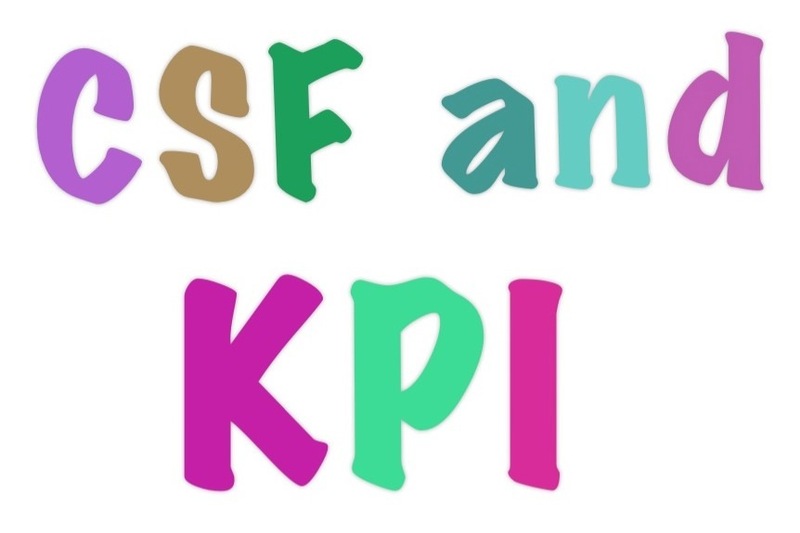 The CSF needs a Key Performance Indicators (KPI) to measure them. The old saying “What gets measured, gets done!” is so true in this situations. The critical success factors have key performance indicators which the organization should carefully monitor. The key Indicators should be measurable but not all of them can be measured easily. Customer satisfaction is a good KPI but very difficult to measure. However, number of units produces can be calculated easily.